A little while back I wrote an article regarding water quality What are Total Dissolved Solids (TDS) and Phosphates and the necessity to drain your swimming pool based on the overall water quality reading of your pool. Now you’ve reach the point where your swimming pool needs to be drained to restore water quality but with the drought in Southern California, you can’t justify wasting 25,000 gallons of water. There is an alternative, and that is to filter and purify your water with Pool Water Recycling. LA Pool Guys is now offering Pool Water Recycling by using a mobile filtering truck that can remove TDS & Phosphates without draining. pool filtration and purification system removes contaminant buildup without having to drain your pool! 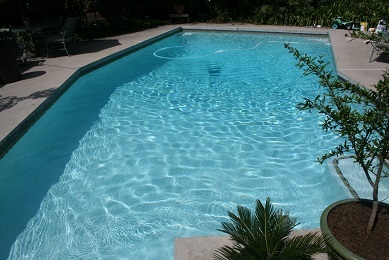 The process is quick and effective and most residential pools can be treated from start to finish in a single day. Now you can have the best water quality available while being 100% conscious of water consumption requirements Southern California! In the past, residential swimming pools have required a drain and refill every 2-3 years to maintain proper water balance and to protect plaster and equipment. Commercial pools should be done even more frequently due to greater usage and higher chemical levels required for sanitation. Exposing the plaster during a drain and refill can cause plaster damage and/or failure. On other occasions, pools have “popped” out of the ground as the water is removed and the pool “floats”. Why risk damage to your pool, or waste your existing water when there is a better, safer solution that also allows you to be a good steward of water resources? Water conservation, no risk to your pool, and clean, safe water that requires less chemicals to maintain… It’s a win-win situation! This entry was posted in Drought and tagged California Drought, Drain Pool, drain pool water, draining pools, landscape sprinklers, long beach, Los Angeles Pool Serivce, orange county, Pasadena, Pool Water Recycling, refilling pools, tds drain, water consumption on June 16, 2016 by LA Pool Guys. LA Pool Guys perform an annual preventative maintenance water testing service that address outside agents that affect water quality issues that cannot be resolved through routine pool maintenance. Poor water quality affects the service technicians ability to maintain proper water chemistry. High TDS and/or Posphate Readings are a result of solid and organic materials introduced the water that contributes to cloudy water, algae growth, staining corrosion etc., High TDS & Phosphate levels cannot be prevented by standard weekly chlorine and acid balancing, they can only be corrected through drain (TDS), & or treatment (Phosphate), or mobile drainless treatment services. What are Total Dissolved Solids? It is commonly recommended that the TDS levels should not exceed 1,500 ppm In a non salt generating system. In the case of a salt system the TDS should not exceed 1,500 ppm higher than the recommended ppm of salt needed to operate the salt chlorine generation system. For salt systems you should consider draining your pool around 4500ppm. 1500 ppm is the lowest level of TDS for a recommended drain. LA Pool Guys notification and recommendation starts once your water passes this threshold. What’s true for lakes is also true for swimming pools. Phosphate is a natural component of most swimmer wastes. It is also present in rain water. Phosphate is persistent and does not break down naturally. Landscaper’s fertilizers, which may blow into the pool, have high phosphate content. For all of these reasons, pools can quickly build up high phosphate levels.This creates an abundant and tasty food source for all strains of algae, and can make controlling their growth difficult. Remove the food, and you have a strong weapon against algae. When Phosphates are Present, Algae Grows…. Remove the Phosphates and Solve the Problem…. The maximum level of phosphate in pool water should be 0.1 ppm. Once the phosphate climbs above this level, the water quality begins to decrease and slime deposits can begin. greater than 500 ppb to 5,000 ppb = Treatment. A Phosphate treatment can significantly improve the clarity of your water, and keep algae at bay through the season since phosphates are a major contributor to algae growth. If a drain is required due to High TDS Levels it will also remove phosphates and postpone the need for a phosphate treatment. This is why LA Pool Guys uses tests for both TDS & Phosphate simultaneously. Both TDS and phospahtes are contributors to algae growth and several other water quality/balance issues. If it is time to drain your pool due to water quality, you might want to consider doing an acid wash at the same time. This is one way to take care of several water quality issues and pool aesthetics at the same time at a fraction of the cost of a re-plaster. 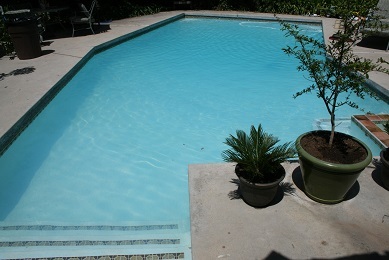 No all pools can be acid washed due to plaster quality and results may vary depending on the staining of your pool. LA Pool Guys can also recommend a company who has a mobile filtering truck that can remove TDS & Phophates without draining. This is a technology that has been created to combat water usage do to high drought conditions in our area. The cost to do a drainless treatment can be significantly higher, however all water usage penalties in your area should be taken into consideration in making your decision. This entry was posted in Pool Maintenance and tagged los angeles Pool service, phophate treatment, swimming pool water quality, TDS, tds drain, total dissolved solids on April 7, 2016 by LA Pool Guys.